Is Clean Air the Cause of Global Warming? A new paper (O’Dowd et al.) 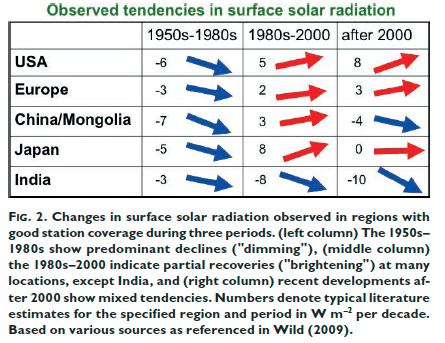 from the National University of Ireland presented this summer at the 19th International Conference on Nucleation and Atmospheric Aerosols suggests that clean air laws put in place in the 1970′s and 80′s have resulted in an increase in sunlight impacting the surface of the Earth, and thus have increased surface temperatures as a result. In one fell swoop, this can explain why surface temperature dipped in the 1970′s, prompting fears of an ice age, followed by concerns of global warming as the air got cleaner after pollution laws and controls were put in place. There is much more at Watts Up With That. More work remains to be done, but it is a delightful thought, isn’t it? Who’s responsible for global warming? The EPA!